It’s Monday October 28, 2013, and as I sit at my desk, one thing comes to mind—I survived another Howard University Homecoming (HUHC). Trust me, as an alumnus I can tell you that that’s a feat worth celebrating. HUHC is a time to celebrate an institution that has birthed and continues to birth African-American political activists, doctors, lawyers, teachers, theologians, and the list goes on and on. It is a time to celebrate old friendships, milestones and accomplishments. But what really makes HUHC unique from all of the other Homecoming celebrations across the country is the way we celebrate. From the alumni events, to the concerts, to the tailgate, and of course the parties, we celebrate our alma mater in the most epic way possible. People who’ve never spent one day in a Howard classroom look forward to and attend the festivities, and they never leave disappointed. Wycliffe Nathaniel “Bubba” Morton was native of Washington, D.C., who, after a stint in the Coast Guard, attended Howard University from 1954 to 1957, where he earned two varsity letters each in baseball and football. 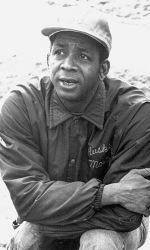 In 1955 Morton became the first black player signed by the Detroit Tigers (though others beat him to the major leagues). In 1972, after an extensive professional career, Morton was hired by athletics director Joe Kearney as head coach of the baseball program at the University of Washington from 1972 to 1976 becoming UW’s first black head coach in any sport. Jay Walker is an American politician who represents district 26 in the Maryland House of Delegates. He graduated from Howard University with a B.A. in political science. “SkyWalker,” as he was called at Howard, also holds the single-game record of 38 for most pass completions and was selected to the All-MEAC teams of 1992 and 1993. As the quarterback, Walker led the Howard Bison to an undefeated regular season in 1993. 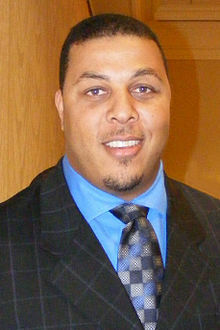 Walker was drafted into the NFL in 1994 by the New England Patriots and spent time with the Minnesota Vikings. In 2005, Walker was voted into the Howard’s Athletic Hall of Fame. In addition to his political duties, he is CEO and President of Walker Financial Services, and an analyst for ESPNU Walker. Rhadi Ferguson is mixed martial arts trainer, strength and conditioning coach, motivational speaker, and black belt in judo and Brazilian jiu-jitsu. 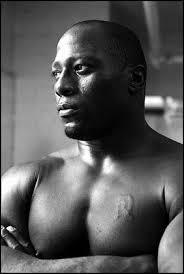 Ferguson, a four-time national judo champion, competed in judo at the 2004 Summer Olympics in the men’s heavyweight division and was an alternate in the 2000 Summer Olympics. From 1992 to 1997 Ferguson attended Howard University in Washington, DC on a football scholarship and also was one of only a few students in the history of the school to play 3 sports (Football, Wrestling, and Track). Ferguson graduated with a bachelor’s degree in Mechanical Engineering and later received his Master of Arts in Teaching degree with a 4.0 GPA from Howard. 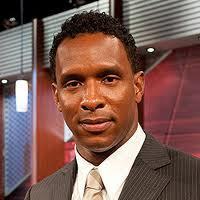 Shaka Hislop is a former football (soccer) goalkeeper who played in the top division in England as a member of the Newcastle United team which finished second in the Premier League. Hislop attended Howard and led the Bison to the NCAA Finals as a freshman starter. He graduated with honors with a degree in Mechanical Engineering. In 2005, Hislop was named the inaugural winner of the Professional Footballers’ Association’s Special Merit Award for his services to football. He has been a pioneer of football’s ‘Show Racism the Red Card’ Campaign and was inducted into Howard’s Athletic Hall of Fame. In 2006, Hislop played a pivotal role in Trinidad & Tobago’s memorable World Cup appearance. He now works for ESPN and regularly provides commentary on Eredivisie, Serie A, and Mexican Liga MX matches. David Oliver world class is 110m and 60m hurdler. In college as a Bison, Oliver won four consecutive outdoor MEAC 110m hurdles titles, from 2001–2004 and a MEAC indoor champion in the 55m hurdles. He graduated from Howard University in 2004 with a Bachelor of Business Administration in Marketing. Since Howard, his career has only progressed. Oliver won bronze medals in the 2008 Olympic Games and the 2010 IAAF World Indoor Championships. This past August he won gold in the 110m hurdles at the IAAF championship in Moscow. Oliver is also the American record holder in the 110 m hurdles and a four-time U.S. Champion. With a personal best of 12.89 seconds in the 110 m hurdles, Oliver is fourth on the all-time list. 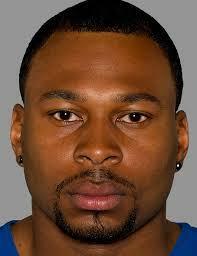 Antoine Bethea is an NFL safety for the Indianapolis Colts and college football at Howard from 2002 until 2006. Drafted in 2006, he is a Super Bowl champion, has been selected for the Pro Bowl twice, and has been named the USA Football/NFL Player’s Association All-Fundamentals Team. 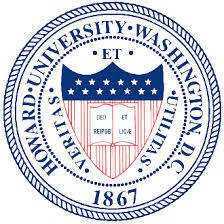 While at Howard, Bethea majored in administration of justice. There he earned All-Mid-Eastern Conference honors and was selected to the American Urban Radio Network Sheridan Broadcasting Network Black College All-American Team 3 times.